In the event my obsession for florals wasn't clear enough, here's another post that might sway you. 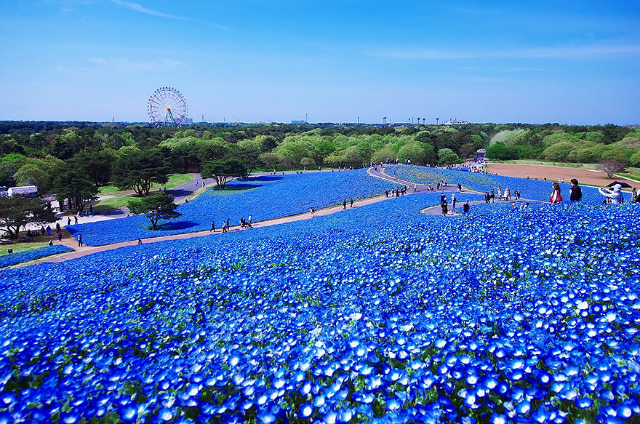 Hitachi Seaside Park is a 470 acre park in Hitachinaka, Ibaraki, Japan that showcases 170 varieties of tulips, daffodils and approximately 4.5 million baby blue eyes (AKA Nemophila). 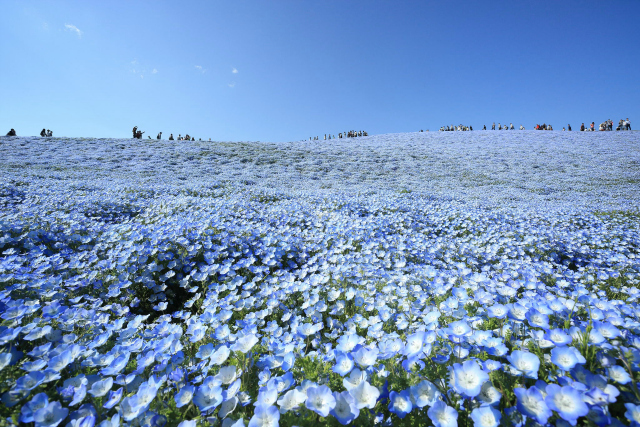 Nemophila are annuals that bloom in spring. 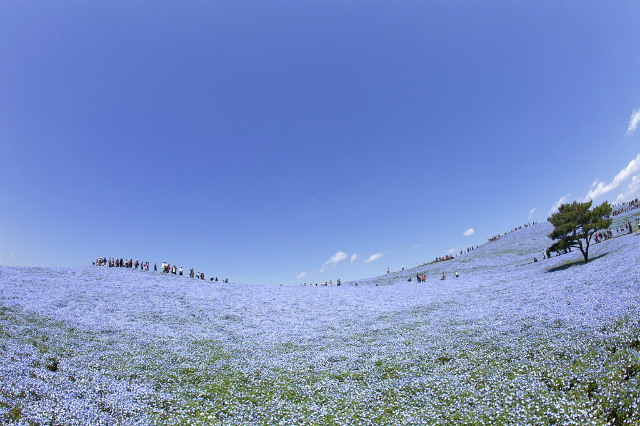 When this event happens, hundreds of visitors flock to this park to see the sea of blue. Ah-mazing. 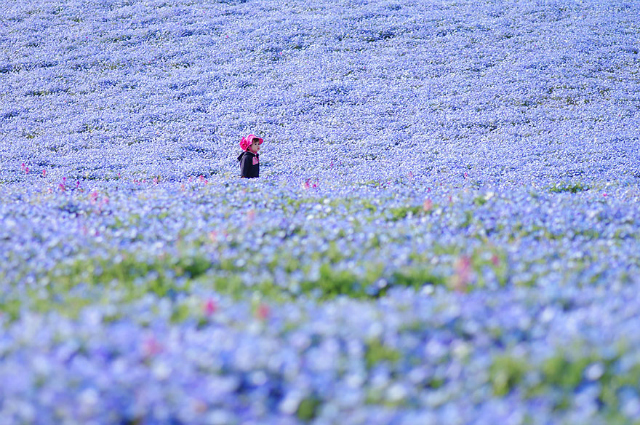 Japan sure has some magical spots to see. Do you remember this one? 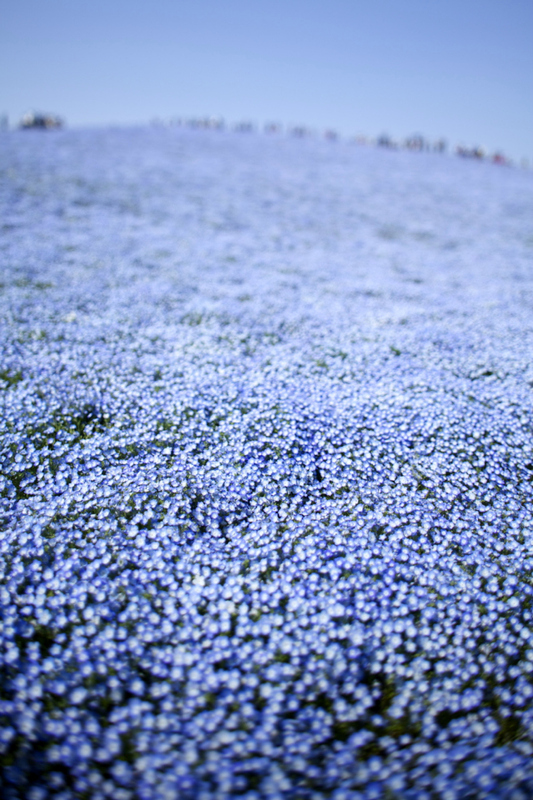 Those flowers are so pretty! 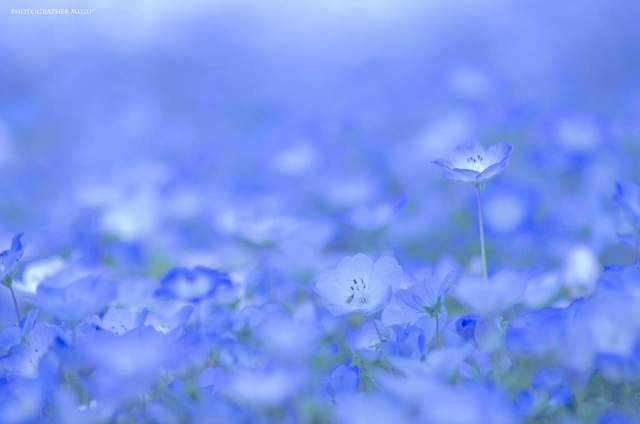 Gorgeous blue! This was like visual meditation. Thanks! 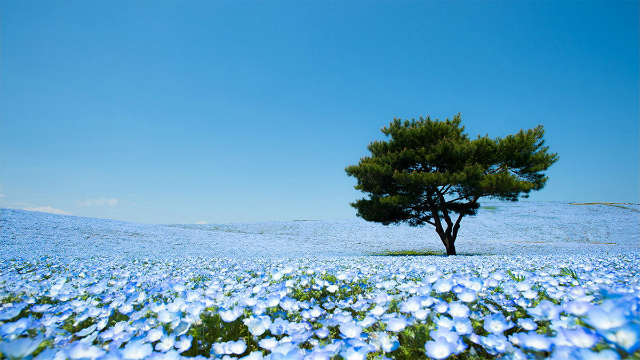 That doesn't even look real, it's so beautiful!! I need to go! 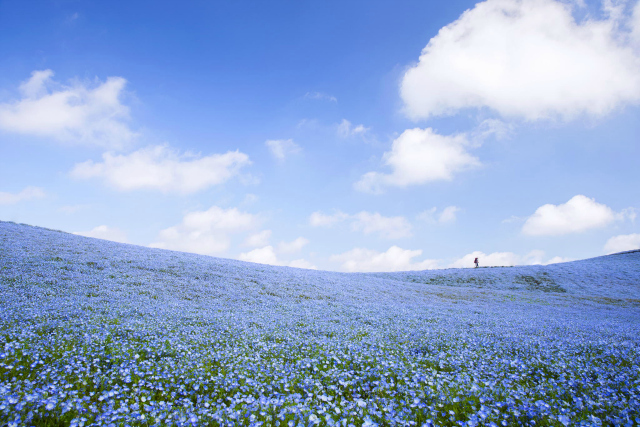 Oh my, it's like a dreamland! 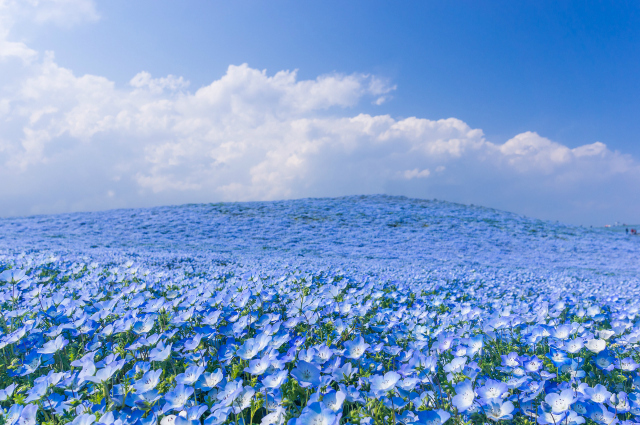 We are way too mesmerized by this gorgeous see of blue flowers. thanks so much or sharing. 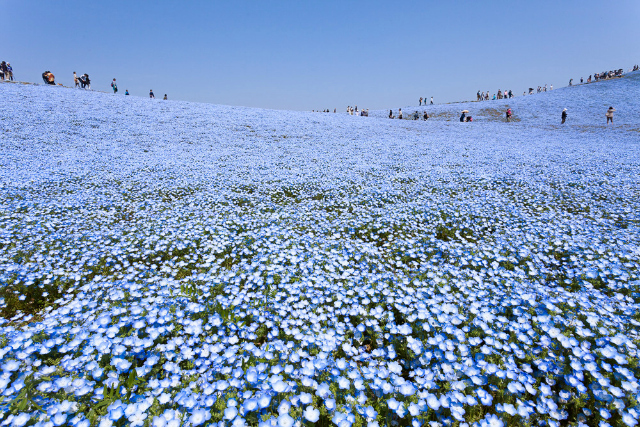 This is officially a bucket list location!